Three Proven Ways To Get More Traffic To Your Blog, Fast! You can have the best product or service in the world. You can have a killer blog that could sell a pint of whiskey to a nun. But if you don’t have any prospects seeing your blog, you won’t make a cent. That’s why we marketers spend so much time, effort and money trying to put our blogs and offers in front of targeted leads. But it doesn’t have to be that hard… not when you know which marketing methods work best for driving a lot of traffic. Savvy marketers know that social media marketing is still in its infancy – and it’s set to explode in the coming years! Those who set up their social marketing campaigns now are the ones who will benefit the most in the future. * Web 2.0 content sites, like Squidoo. These sites let you page one-page websites around niche topics. Google tends to crawl these pages often and rank them well and they can be a real help in getting your blog indexed fast. * Social networking sites like Facebook and Pinterest are hot – people spend a lot of time there and if you build up a following you can harvest a lot of traffic from, especially if can get people to share your content. All our covert themes work really well for getting people to do just that – but Covert PinPress in particular works really well as it build on the popularity (and familiarity) of Pinterest, almost forcing people to not only view your content but also to share it with friends and thus generate free traffic for you. * Social bookmarking sites, like Digg. These sites allow users to share and bookmark content – they can be a great tool in your viral marketing campaigns and for gaining valuable social banklinks to your blog. Our Covert Social Press theme lets you run your own fully functional social bookmarking site on WordPress. * Online video sites, like Youtube. People spend a LOT of time watching online video and making your own videos can help you attract a lot of traffic. You could also use our Covert Video Press theme to cash on on this video craze without ever having to create your own videos. While powerful, these three main advertising methods are just the tip of the marketing iceberg. When you use these three alongside other equally powerful marketing methods, you’ll unleash a nearly unstoppable flow of quality traffic. 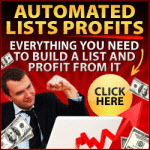 Posted on March 18, 2013 February 26, 2015 Author Soren JordansenCategories SEO, Traffic GenerationTags free, membership, traffic generation club18 Comments on Three Proven Ways To Get More Traffic To Your Blog, Fast!